OSHA® understands that incentive programs can help improve safety when they motivate workers to embrace leading indicators - identify hazards, participate in training and participate in investigating near-misses. 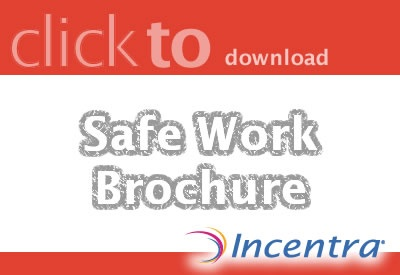 Improve safe work at your organization with a customized incentive program from Incentra. We will help you define the ideal program to engage your workers and, ultimately, drive safe work for your organization. Contact us today to get started.